The Proud Lake Recreation Area can be found on the banks of the Huron River outside of West Bloomfield. Covering some 4600 acres, it does mean that there are a number of different recreational activities available along with areas to explore. The recreation area is perfect for families as well as individuals who simply want to get out into the countryside and to be around nature. 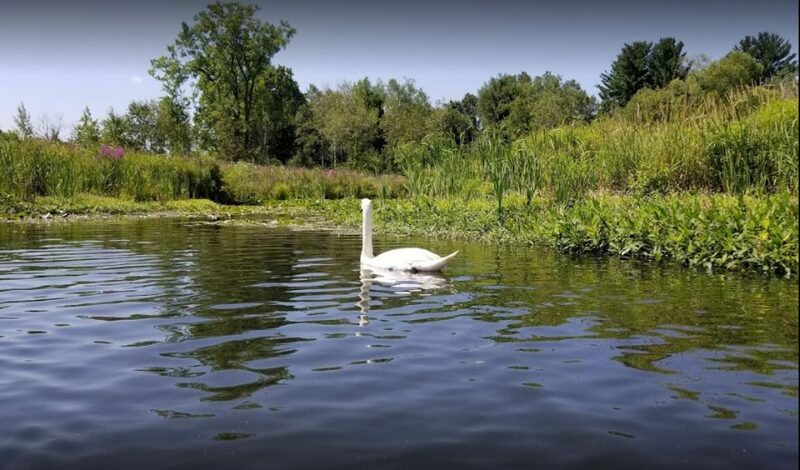 With it being so close to the Huron River, it is also ideal for those that love the water with various options being made available to you. The park does contain more than 20 miles of trails to discover and explore. They are suitable for hiking, biking and even horse riding and with the trails being well maintained you will be impressed with what they have to offer. This area will also have a number of different events on throughout the year, and it’s well worth checking in advance to see if there’s anything that appeals to you. Do note that you will require a recreational passport in order to gain entry to the Proud Lake Recreation Area, but that is something that is easy to obtain and it should certainly never pose any problems for you. During your visit, you should also consider checking out the River Hawk Lodge. There are also a number of different spots where you are able to have a picnic while you sit and soak up the stunning nature that surrounds you. Complete with a campground, it does throw up the possibility of spending a number of days in the area, and that will prove to be perfect for those people that simply want to experience some peace and quiet. The Proud Lake Recreation Area should always be on your list of places to explore should you be in this part of the world. It is peaceful, safe for families, and allows you to get out into nature and everything that it has to offer. With all of those miles of trails to check out, you can keep on going back time and time again while discovering a new area that you have not yet seen.